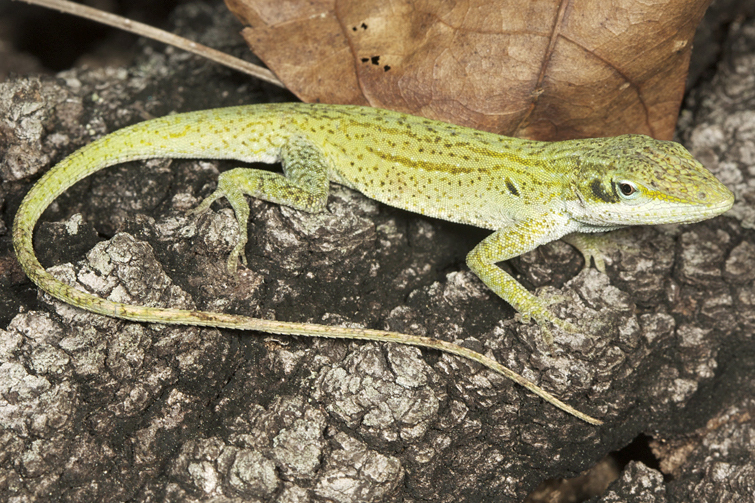 Description: Adult green anoles reach 5-8 in. (12.5-20.3 cm). 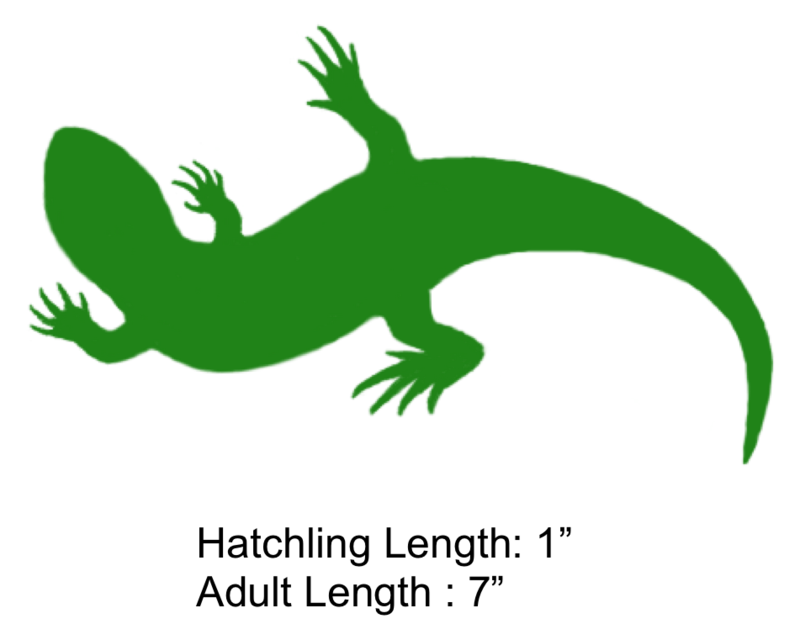 This diurnal lizard may appear completely green, green and brown, or completely brown. A pattern may also be present in the form of dark slate grey streaks or spots. When found with a brown coloration, many individuals may also have a lighter stripe down the back. 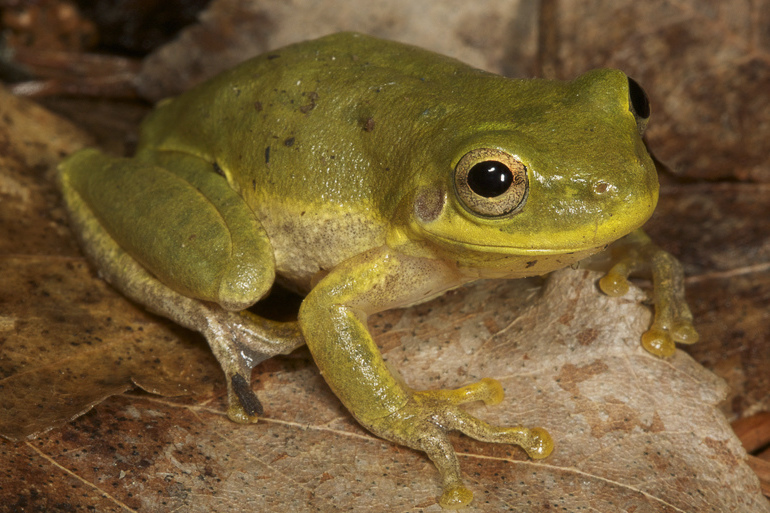 The throat fan, or dewlap, found on males of this species is bright pink. 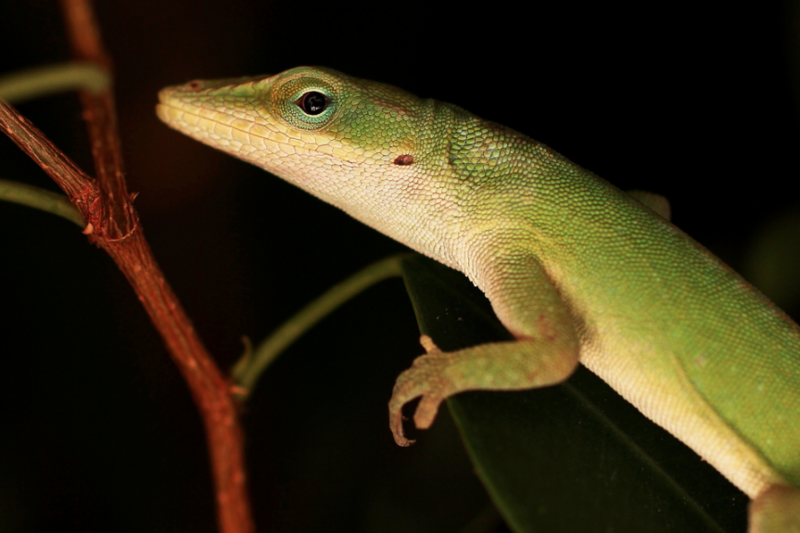 Green anoles occasionally have a ridge even a short crest along their neck and back. Feeding/Diet: Anoles typically feed on small insects and other arthropods such as butterflies, flies, crickets, and small grasshoppers. 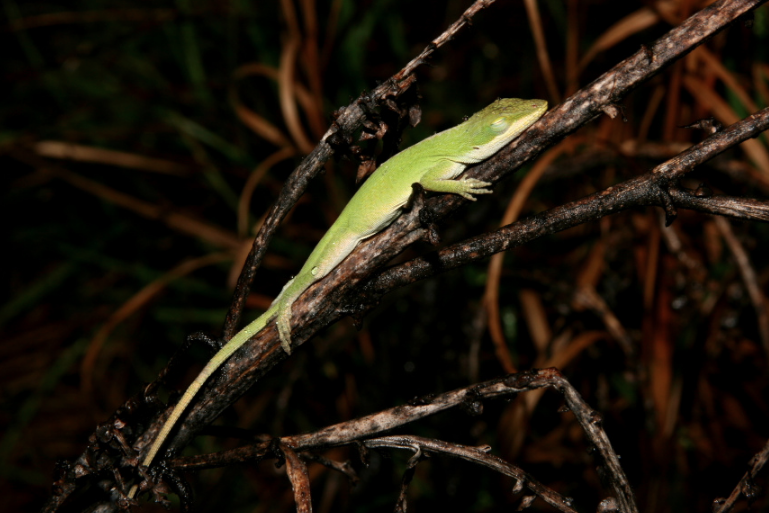 Habitat/Range: Anoles range throughout the coastal plain and southern piedmont of North Carolina. They are commonly seen on fences, around old buildings, on shrubs or vines, on the ground, or in trees due to their adhesive toe pads. Reproduction: Females lay one egg at a time throughout spring and summer. Usually they shallowly bury their eggs in soil, rotten wood, or similar material. Miscellaneous: Adult males are very defensive of their territory against intruding males, and they use head bobbing both in defending their territory and courting females. 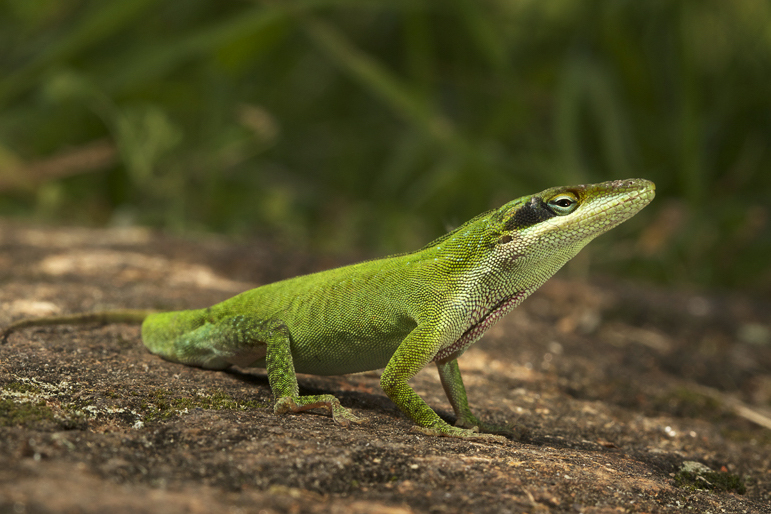 The anole is sometimes called a “chameleon” because of its ability to change colors, but this color change is associated with temperature, stress, and various other environmental and behavioral factors. The shaded region represents the range of the Green Anole in North Carolina.